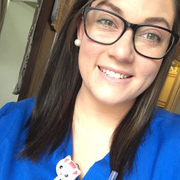 Hello my name is Meg, I currently work for Seniors at home/ SeniorLIFE. I find peace in putting others before myself. I have found that being a caregiver is what I love to do. I have approximately 3 1/2 years experience providing personal care for others, ranging from mentally disabled, seniors with dementia, and also end of life companionship. If you are interested in seeing my resumé, I look forward to speaking with you!